Wall Upholstery Los Angeles is a professional commercial and residential upholstery services provided by Manuel Lopez. Mr. Lopez is a master and artisan upholsterer certified and insured by California estate. He founded his first upholstery shop in 1974 in a Garage in Los Angeles. After 20 years working with sofa and chair upholstery services and furniture restoration, he started working in commercial upholstery business such us: hotels, cinemas, casinos and professional offices, and residential homes and mansions walls. 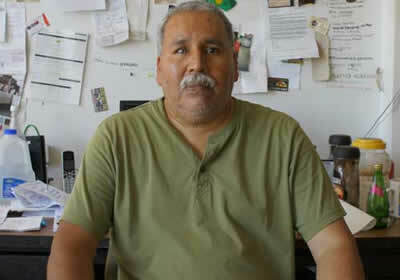 Mr. Lopez is a regurla contributor and enthusiastic teacher in his upholstery shop located now at 1861 W Adams Blvd, Los Angeles, CA 90018. He has been training his craftmanship for more that 20 years. Now his Son Manuel Jr. is professional upholsterer at his 25 years old. Manuel likes watching soocer games and walk his crazy dog "Buddy" on weekends near his home and sometimes going to different parks around the city. Manuel have built up an enevitable reutation for honesty and transparency in all his dealings. Rest assured, when you hire his services in wall upholstery services. Your are not just upholstering your walls.. you are buying a solid guarantee of service and quality. Free estimate in your business location. Also pick up and delivery are included in all services. Fast response in LA. The number One compan for commercial wall upholstery. Glad to hear from you soon. Thank you for watching! Wall upholstery Los Angeles is a premiere provider of custom wall upholstery, mansion wall upholstery, residential and commercial wall upholstery services for casinos, hotels, motels, nightclubs, theater, and cinemas. We can make tufted walls, ceiling pleated, and new custom made wall upholstery and re-upholstery. Manuel Lopez is a veteran artisan and master craftsman of wall upholstery serving the greater Los Angeles for the past 40 years of experience.